The Galaxy Note 9 is, plain and simple, a tempting upgrade for even Galaxy Note 8 owners. 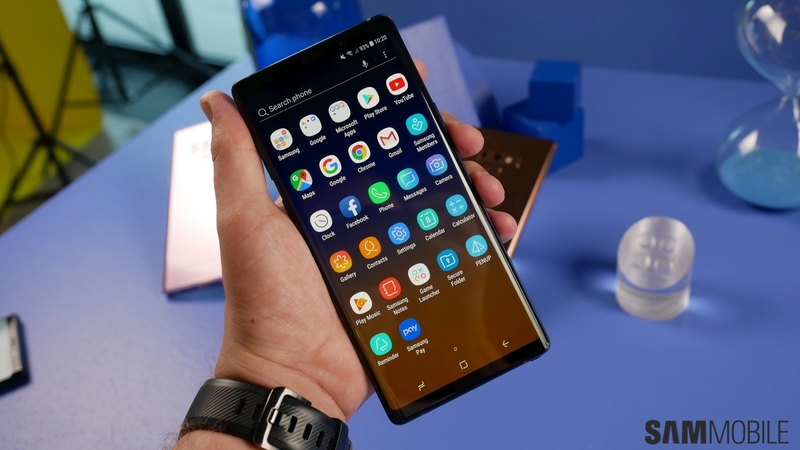 It brings plenty of new features that aren’t available on the Note 8, such as stereo speakers, a bigger battery, an S Pen that works as a remote, Super Slow-mo video recording, and up to 512GB of internal storage and 8GB of RAM. But those who don’t own either of these devices might be thinking these features aren’t worth it and thinking of picking up a Galaxy Note 8 because it’s now available for a lower price than it was launched for. There’s a solid reason, however, for holding off and getting the Galaxy Note 9 later this month even if you have to save up some cash: software updates. The Galaxy Note 8 runs Android 8.0 Oreo at the moment and the Galaxy Note 9 comes with Android 8.1 Oreo. The same software for the most part, right? Well, yes, but the difference is that the Galaxy Note 9 comes with Oreo out of the box, so it will be updated to Android Pie and Android Q (whatever it ends up being called). The Galaxy Note 8, meanwhile, will end its life at Pie, as Samsung only offers two major upgrades for each flagship. Security updates will also come out for the Galaxy Note 9 regularly till 2021 but the Note 8 will only have regular support until 2020. So if you’re someone who cares about software updates, the Galaxy Note 9 is ultimately the better device out of the two simply because it’s newer and, therefore, going to be updated for a longer period. Of course, all the new features further add to the overall value of the Note 9, especially since its price is more or less similar to the Galaxy Note 8’s launch price. And there’s not even a competition if you compare it with the Galaxy Note 5, making it an ideal upgrade for Note 5 owners as well. The post Software updates: One big reason to buy a Galaxy Note 9 over the Galaxy Note 8 appeared first on SamMobile.